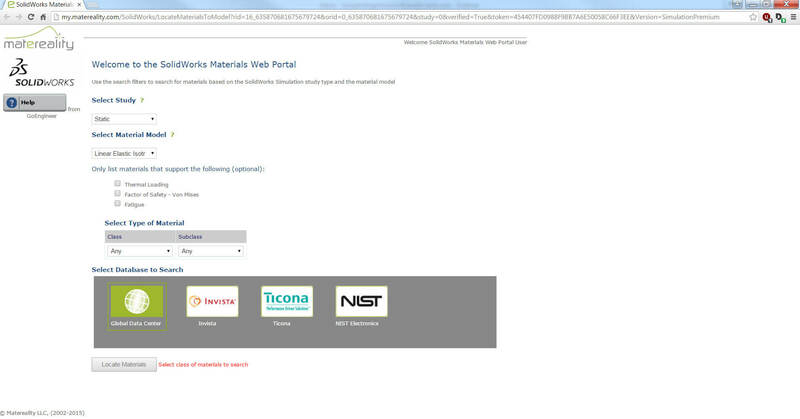 Since the SOLIDWORKS 2014 release you are able to download additional materials for your SOLIDWORKS Simulation Material Database from the Matereality website which has a much broader range of advanced material properties that have been physically tested. 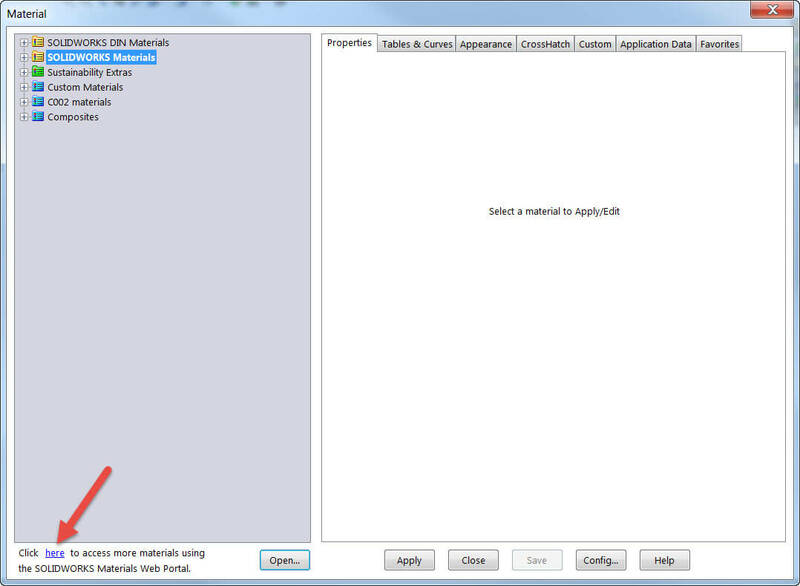 As shown in Figure 1, you can access additional materials using the SOLIDWORKS Materials Web Portal (Matereality) on the bottom-left of the SOLIDWORKS Material Database properties panel. 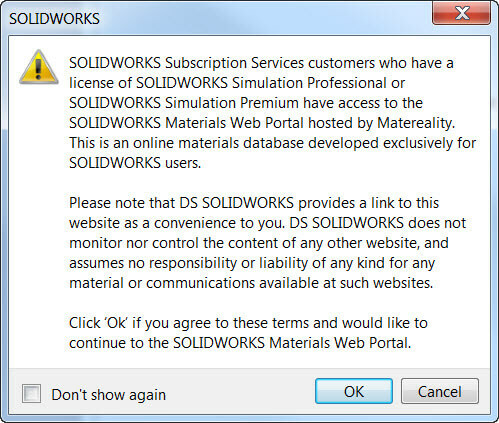 Then you will be directed to the SOLIDWORKS Material Web Portal, where you can select the type of simulation study, material model, and type of material that you are looking for. Learn more about the benefits of SOLIDWORKS Subscription Service. Contact us if you need to renew your subscription. Test out different Materials with SOLIDWORKS Simulation! Siavash is a SOLIDWORKS Elite Applications Engineer and is based in our Oakville, Ontario office.